One parent wants to know how the university is making sure that the mold will not return amid its efforts to eradicate mold in one of its residence halls. WASHINGTON — Students residing at the University of Maryland College Park’s Elkton Hall have been relocated to hotels due to mold concerns. 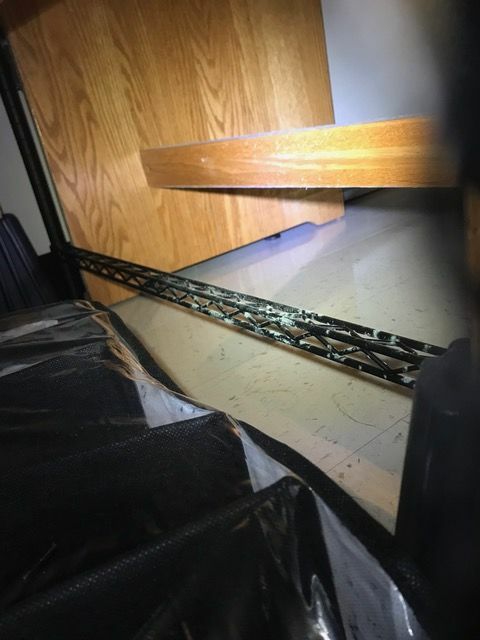 On Friday, Sept. 21, at 9:30 p.m., the school said that over an abundance of caution, it is necessary to “thoroughly clean and remediate every room in the building, regardless of whether students have reported an issue in their room.” Floor by floor, students were relocated to local hotels for a period of time, starting on Saturday, Sept. 22. In a letter sent Sunday, Sept. 23, the school said that it has contracted an outside consulting firm to assist in completing a thorough inspection of the building to ensure that the HVAC system is operating properly. Cleaning all room surfaces including walls, floors, doors and closets, and HEPA vacuuming carpets. Servicing and cleaning the fan coil unit in the room. Cleaning all furniture surfaces, including inside and underneath drawers. Cleaning all surfaces in the hallways and bathrooms. But one parent remains concerned that the efforts will not be enough to keep the rooms from being recontaminated. Jessica Silverman, from Baltimore County, is a parent of a freshman at the school. 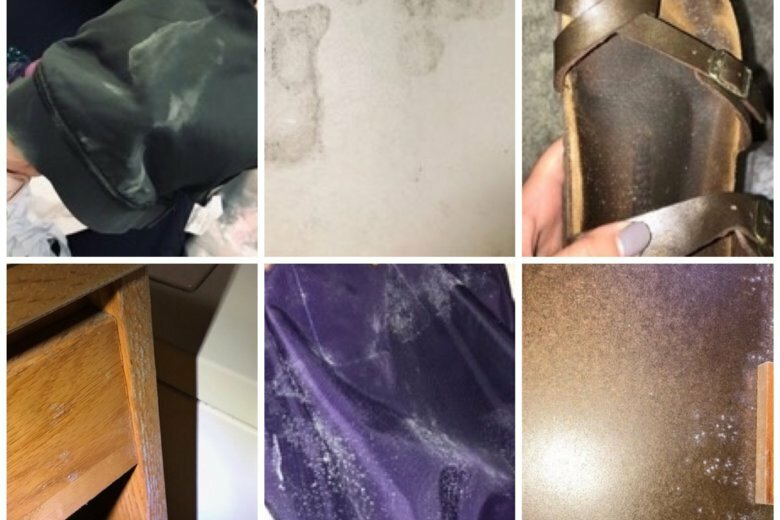 She and her daughter spent “Family Weekend” wearing gloves and using cleaner to wipe “every surface of the room.” Silverman said her daughter found mold in her dresser, her bed and even her hair brush. She wants to know if it would have been better to evacuate the whole building at once, clean the mold and make sure the building is clear of mold before letting residents move back in. Silverman said that the school’s initial communication was poor — particularly on Sept. 17, when the first incidences of mold were being reported. An email sent on Wednesday, Sept. 19 at 8:04 p.m., addressed what the university has been doing amid earlier reports of mold found in the building. The letter said that the school was resuming inspections and remediations on floors 8, 7, 6, 5 and 1, and that this work will continue into Friday, Sept. 21. The letter stated that moldy furniture will be replaced, and growth on walls, floors and other nonporous surfaces will be cleaned. Earlier in the day, the school sent an email to Elkton Hall residents saying that they added temporary dehumidifiers to assist in drawing out the moisture, in addition to the built-in dehumidifiers in each hallway. Ventilation systems were also adjusted. On Thursday, Sept. 20, the school informed students that they were providing linens to those who may need them while their belongings were being cleaned. Elkton Hall residents received an email on Friday saying that staff from residential facilities and resident life will be available from noon to 2 p.m. to answer questions or concerns regarding the mold. Silverman said that her daughter has been experiencing head and neck pain and a hacking cough; and while she can’t say for certain it’s due to mold spores, she believes it is from the contaminated air her daughter has been breathing. She said she hopes that the university will make students’ well-being a priority. Elkton Hall is an 8-story, coeducational residential building that houses 555 students according to the school’s resident life website. Last year, mold was found at the university, prompting the relocation of some residents, the university’s student newspaper reported. WTOP’s Liz Anderson contributed to this report.